Custom designed laser cut Deer Antler Christmas Ornament. 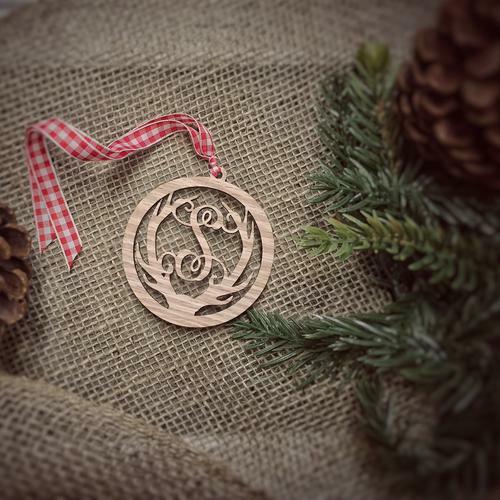 Your 1 letter monogram laser cut into this beautiful walnut ornament. 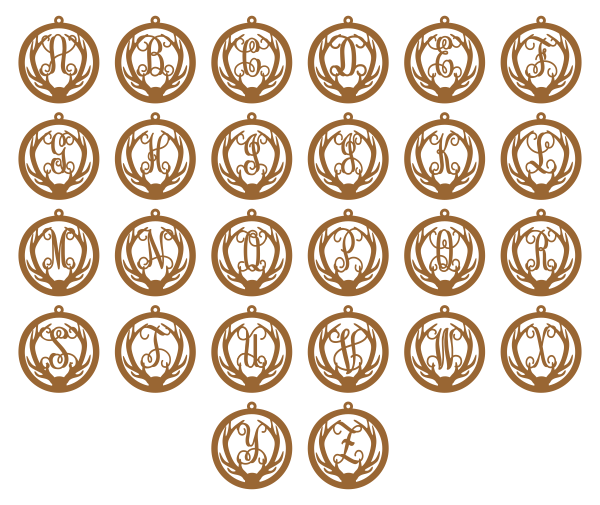 All Letters available. 3" ornament. American made in beautiful american walnut. Save $1 each when you purchase 2 or more. Please note that wood grains will vary from tree to tree and cut to cut. You finished product should look similar but the exact wood grains may not match exactly.